Man in everyday life surrounds many of the pathogens that cause the development of dangerous diseases. These include tetanus Bacillus which enters the body through wounds and abrasions, which cause severe damage to the nervous system. More often infection occurs in agricultural operations, as well as illegal abortion and childbirth. To avoid complications, which often lead to disability, use of tetanus toxoid. Not to worry about the unplanned introduction of the vaccine, everyone should know what constitutes this substance. 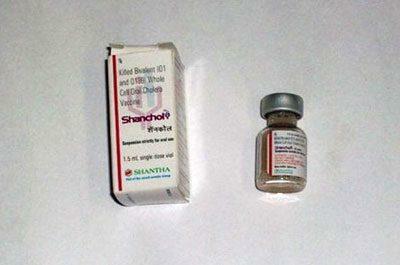 A toxoid is a medicinal drug that is used for routine immunization as well as emergency indicated. AC-toxoid has an expressed anti-toxic, immune-modifying and immunomodulatory effects. By the vaccine formed persistent immune response against the causative agent of tetanus. The effect of the drug can last for several years. To achieve persistent immunity to tetanus of the person vaccinated repeatedly at intervals that are regulated by special orders. Domestic of tetanus toxoid is available in 1 ml ampoules, which contain two doses. In original cardboard box only 10 ampoules. For injuries that are characterized by a significant damage of the skin. With frostbite and thermal burns of all degrees of severity. During childbirth or abortion that was performed outside medical institutions. If a person is diagnosed gangrene and abscess. Shows the introduction of the vaccine also in open fractures. Tetanus toxoid is administered to a person turning to emergency rooms in the residence. Children are beginning to vaccinate against tetanus at an early age, routine vaccination is approved in accordance with the vaccination calendar. In adults, the interval between routine immunization against tetanus is 10 years, but if there is evidence, that make it more often. The main objective of vaccination is the prevention of tetanus disease and related complications. In some cases, impose toxoid diphtheria-tetanus, which has a wider range of action. Active antiprivivochnaya company leads to an increase in cases of tetanus. It is important to know that this disease in 70% of cases leads to death. In addition, many people are disabled. Not worth it to risk the health and lives of their children and to refuse vaccinations! In the instructions for use indicated that a toxoid is needed deep under the skin in the subscapular region. Dosage is 0.5 ml. Before vaccination, the vial of vaccine is carefully shaken so that the composition became homogeneous. 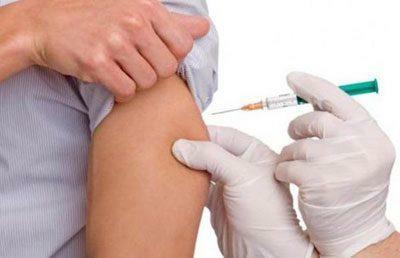 For people who are not vaccinated against tetanus, the first course is carried out twice, with an interval of one month. Revaccination is carried out after 6-12 months, in some cases two years. The following boosters are every 10 years or ADS-M toxoid once. To immunize certain segments of the population, especially those living in disadvantaged areas, is applied shortened form of vaccination. The toxoid is in this case introduced in a larger dose, which is 1 ml. the First revaccination is performed in 1-2 years, later – every 10 years. To do this, use the usual dosage of vaccine in 0.5 ml. Introduction toxoid adult or child mandatory register of approved pattern. In the Ledger indicate the batch number, production date, manufacturer, and date of vaccination. Active immunization of children beginning to be conducted with 3 months of a child’s life. For this purpose, adsorbed DTP vaccines. Because of this, the child is protected from four dangerous diseases. In the description of the drug indicated that the vaccine cannot be used if the integrity of the original packaging, there is no marking of the manufacturer or modified physical properties – color changed, there are large flakes or other impurities, is noticeably blurred. In addition, it is strictly forbidden to use the toxoid if the expired working life or the drug is improperly stored. Open the vials and complete the vaccination are required, in full compliance with antiseptics. An open vial of antitoxin storage is not. The routine vaccination of pregnant women is not carried out. This group of the population can be vaccinated only if necessary emergency prevention of tetanus. AC-toxoid used in pregnant women only after weighing all the risks, when the benefits for the expectant mother more risk to the fetus. AC-toxoid rarely provokes the development of side effects. In special cases, possibly fever, pain and severe swelling in the injection site. In exceptional cases develop serious allergic reactions such as angioedema. Most often in people who are prone to allergies, this disease just a little bit worse. In sensitive people, severe Allergy may develop immediately after the introduction, so for patients grafted for half an hour watching the health care provider. All the vaccination rooms must be equipped with antishock drugs therapy for quick help. Severe post-vaccination reactions and complications, which was after the previous vaccination. Disease infectious or non-infectious nature, to instill in a person can no sooner than a month after full recovery. 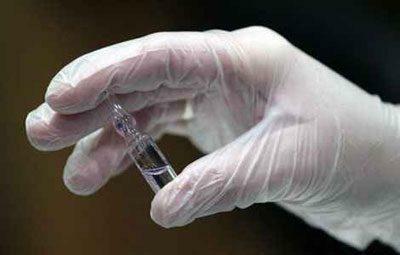 Chronic diseases – vaccination AC-toxoid will do this after months of stable remission. Diseases neurological. Vaccinate only after the stabilization. Disease allergic – vaccination not later than a month from the start of sustained remission. Chronic manifestations of Allergy such as skin rash permanently or unexpressed bronchospasm are not considered contraindications to vaccination. 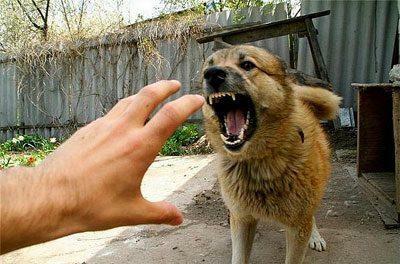 In this case, the manipulation is performed on the background of maintenance therapy. HIV, immunodeficiency, term hormone treatment, or anticonvulsant medications are not contraindications to vaccination. Routine vaccination in this case, doing a year after treatment. In order to prevent infection by many dangerous diseases, people enter the toxoids on the basis of the toxins of the pathogen. For scheduled or emergency immunization is used not only as-toxoid, and diphtheria toxoid, which promotes the development of strong immunity to the diphtheria Bacillus. Diphtheria belongs to a dangerous disease and in most cases leads to death or disability. Cholera also applies to serious infectious diseases, however, when time begun treatment full recovery occurs in most cases. Modern antibiotics can effectively inhibit galernuju wand, and rehydration therapy to prevent possible complications. Before visiting certain regions that are experiencing unfavorable epidemiological situation shows a single vaccination with choleragen. According to the testimony three months later, revaccination is carried out. Prevention prevention of infectious disease can be considered strict observance of rules of hygiene. Upon detection of focus of infection it saneroite, patients are hospitalized and all exposed people are under surveillance for about a week. Often, especially in the warmer time of the year, recorded cases of botulism. Usually the source of the illness be home canned, prepared with infringement of technology. The person who got infected with botulinum toxin, should be required to be examined by a physician-infectious disease. Treatment is often carried out in hospital. In the first hours after the onset of the disease shows the introduction of specific toxoid that will alleviate the disease and prevent possible complications. When the first symptoms of infectious disease should call a doctor. Only a qualified specialist will be able to nominate a number of necessary studies for the correct diagnosis and start of treatment. To self-medicate is strictly prohibited, especially if it concerns children. In some diseases every minute of delay can cost lives! In recent times you can hear about the toxoid nano. We can say that the positive and negative reviews enough. Someone this innovative tool has helped to regain the joy of life, and someone thinks this medication is thrown out money. What this drug is and where it is used, it is necessary to understand in detail. The extract of the herb milk Thistle – helps to destroy the eggs of parasites, helps to fill the human body with vital energy. Echinacea – greatly increases the immunity and helps to fight the body from pathogenic microbes. This component has no effect on parasites. Topolanka – this vegetation rich in tannins that are harmful to the parasites. Often this herb is used to protect the lining of the stomach or intestines. Rosemary extract – improves the condition of the skin, promotes gentle detoxification. Detrimental effect on the parasites present in the body. Helps fight viruses and bacteria. Shows good results in complex treatment of peptic ulcer diseases, gastritis and diarrhea. This medication there are no side effects, it is well tolerated by children and adults. To treat children allowed from 3 years of age, but only after consultation with a pediatrician. 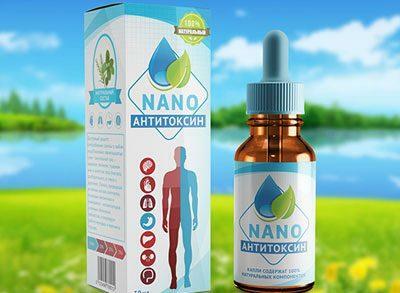 On the official website of the manufacturer has information that the work of the internal organs improved after the first dose, and all parasites 100% removed from the body after a month. Given the testimonials of people who drank a course of this drug, we can conclude that immunity is significantly enhanced and the person feels fresh. But all the parasites living in the body, drug effect has not, and will neutralize harmful substances only selectively. Therefore, before taking toxoid nano, be sure to consult with your doctor. People every day are faced with hundreds of pathogens that can cause serious illness. Some of the infectious diseases very difficult to treat, therefore, can lead to disability or death. As a preventive measure, the doctors actively use toxoids which are able to protect against tetanus, diphtheria, botulism, cholera and other dangerous diseases. Chicken pox vaccine: what is and where is?